MAJOR: Russia tells US to leave Syria "Pack your rucksacks and go!" 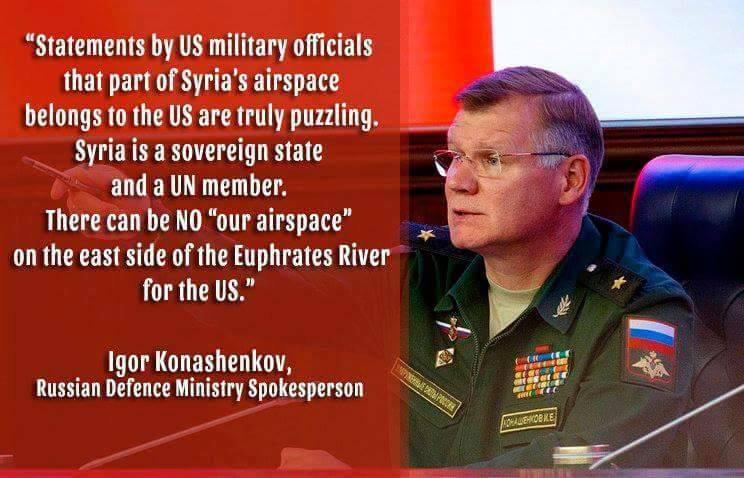 GENEVA, Switzerland - In light of several nearly catastrophic incidents between Russian and US air-forces over Syrian skies, and now with ISIS defeated in Syria, Russia has begun the process of getting the US out of Syria. That the US so far is insisting upon staying in the sovereign country where they are uninvited, has been raising some serious concerns. "We believe that after the victory over ISIS there is no need for the US-led coalition to further remain in Syria, especially given that they had not been invited there ... So, we are calling on the Americans to pack their rucksacks and go.... But apparently, this is not part of their plans, and this arouses concerns," he said. "Our military will remain in Hmeymim and Tartus. So, we will help Syrian partners in the fight against international terrorism, in particular, Jabhat al-Nusra, which is still active in Syria," the diplomat said. The potential of Syria's military created with Russia’s support is enough for fighting against terrorists, the diplomat noted. "However, if a serious terror threat emerges in Syria again, then, as President Putin said, the Russian armed forces will carry out such strikes over terrorists which they can’t imagine ... The Russian military group is withdrawing from Syria, but our servicemen will remain at the air military base in Hmeymim and at the naval base in Tartus." 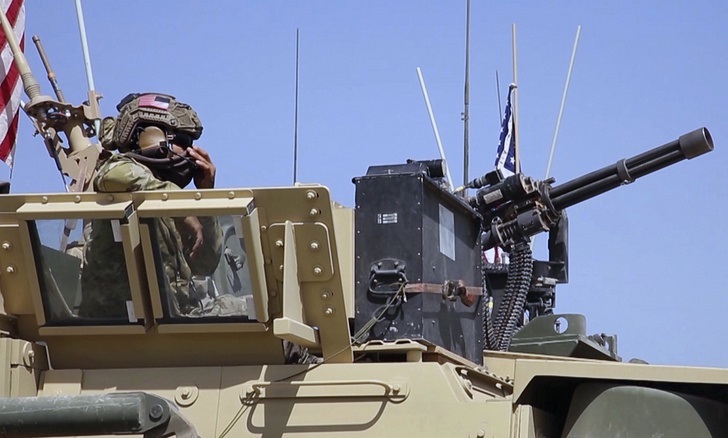 "It is necessary that the opposition clearly indicates in its documents that it sees no military solution to the conflict in Syria, but intends to work on a political settlement in that country," Borodavkin said. "Moscow values the efforts that UN Special Envoy for Syria Staffan de Mistura has been making to find a political solution to the Syria issue, but not everything depends on him, or the UN", he underscored. "But the matter is that we don’t see that the leaders of the opposition delegation formed in Riyadh are ready to discuss these issues," Borodavkin added. "On the contrary, they have been focusing on their unacceptable and categorical demand for Assad’s resignation, which is unreasonable under the current circumstances," the Russian diplomat stressed.